NATO is reporting the death of an ISAF soldier from an IED blast in an undisclosed location in southern Afghanistan of Friday, July 30th. NATO is reporting the deaths of two ISAF soldiers from an IED strike in an undisclosed location in southern Afghanistan of Friday, July 30th. News reports the death of an Italian ISAF soldier from suicide in Kabul, Afghanistan sometime over the weekend of July 23rd-25th. U.N. Removes 5 Taliban From Its Sanctions List: The five were hardly viewed as much of a threat: Three of them have already made peace with the Kabul government, and two of them are dead. #1: A roadside bomb wounded two civilians when it went off in the Baghdad's western district of Khadra, on Friday, an Interior Ministry source said. #2: A mortar round wounded a civilian when it landed near a residential area in the Baghdad's northern district of Shaab, on Friday, an Interior Ministry source said. #1: An Iraqi security force seized four rockets ready for firing in the direction of a U.S. military base in western al-Kut city on Friday, according to a local security source in Wassit province. “An Iraqi interior ministry force seized today (July 30) four Katyusha rockets in a farmland in al-Ahrar district, (25 km) western Kut,” the source told Aswat al-Iraq news agency. “The rockets, ready for firing on the Delta military base, (7 km) western Kut, which is taken by the U.S. forces as their headquarters, were defused by a bomb squad,” he said, adding intelligence tip-offs led the force to the site of the rockets. #1: Gunmen opened fire in a souk (outdoor market) north of al-Hilla city on Friday, leaving two women wounded, a local security source said. “Unidentified gunmen opened fire on pedestrians inside a souk in the area of al-Latifiya, (60 km) north of Hilla, wounding two women,” the source told Aswat al-Iraq news agency. #1: Police found the body of an Iraqi soldier which had gunshot wounds in Qaiyara, 330 km (205 miles) north of Baghdad, police said, adding that the soldier had been kidnapped a few days ago. #1: A roadside bomb killed three civilians and wounded eight others when it exploded near a minibus in Tarmiya, 25 km (15 miles) north of Baghdad, on Friday, an Interior Ministry source said. #1: A bomb attached to the car of Daham Hussein, a police brigadier, killed one person and wounded four others, including Hussein, on his way to work in Shirqat, 300 km (190 miles) north of Baghdad, on Friday, police said. #1: Seven people, including five policemen, were wounded on Saturday when a roadside bomb went off west of Mosul city. “The blast targeted a police patrol at the al-Zinjeeli area, west of Mosul,” a local security source told Aswat al-Iraq news agency. #2: A suspected insurgent was killed when a bomb he was apparently trying to plant exploded in eastern Mosul, police said. #3: Police found the body of an unidentified man which had head and chest bullet wounds in eastern Mosul, police said. #1: Taliban militants fighting Afghan government have killed a tribal elder in Kandahar province south of Afghanistan, spokesman for provincial administration Zalmai Ayubi said Saturday. "The Taliban rebels raided the house of Khalifa Hamidullah, a tribal elder in Arghandab district Friday night and took him away and murdered him," Ayubi told Xinhua. #2: Rioting erupted in Kabul Friday when two US embassy vehicles were set ablaze after one collided with a civilian car, killing a number of occupants, officials and witnesses said. An ISAF official said the vehicles involved belonged to the US embassy. "We don't know yet how many people were killed in the accident," interior ministry spokesman Zemarai Bashery said. Witnesses said four passengers in the civilian car died when it was hit by one of two armoured vehicles moving in convoy. The US embassy in Kabul released a statement saying that "four US contract personnel" had been in the vehicle involved in the accident. "We understand that the other car contained four Afghan passengers. We have also been informed that there were fatalities and serious injuries among the Afghans involved in the accident," it said, without further detail. Police fired shots in the air to quell the violence, an AFP reporter witnessed. It was unclear how the vehicles were set alight, as some security firms torch cars they are forced to abandon as a matter of policy, a security contractor in Kabul said, speaking on condition of anonymity. #3: The cleanup operation against Taliban insurgents has been continuing in Bagh-e-Shirkat area of Kunduz province in north Afghanistan and four NATO soldiers have received injuries since Friday, spokesman of NATO-led International Security Assistance Force (ISAF) said Saturday. "Three vehicles of ISAF forces were partially damaged due to roadside bombings and four soldiers have been slightly injured over the past 24 hours in Bagh-e-Shirkat area," Lieutenant Colonel Weber told media. However, he did not comment on the casualties of Taliban insurgents saying Afghan and ISAF forces with the support of locals would continue the operation unless the area is cleansed from the insurgents. #4: There is a report from Wardag province that some five personnel of NDS, a local US-NATO spy agency were killed in an ambush attack in the province’s Nirkh district on Friday, while a Mujahid was, too, martyred in the operation. The DoD is reporting the death of Petty Officer 3rd Class Jarod Newlove who died from wounds sustained from an incident in Logar province, Afghanistan, on Friday, July 23rd. This was the second Navy personal who was listed as DUSTWUN. NATO is reporting the death of an ISAF soldier from an IED blast in an undisclosed location in southern Afghanistan of Thursday, July 29th. NATO is reporting the deaths of two ISAF soldiers from an IED strike in an undisclosed location in southern Afghanistan of Thursday, July 29th. #1: Militants killed 17 members of Iraq's security forces Thursday in a combination of shootings and roadside bombs that was a bitter demonstration of the dangers Iraqi forces still face. The worst attack came in Baghdad's Sunni neighbourhood of Azamiyah when 10 members of the Iraqi security forces were killed in what appeared to have been co-ordinated killings by militants in a bold, daylight attack in the neighbourhood that was once an insurgent stronghold, Iraqi police and army officials said. Militants first opened fire at an Azamiyah checkpoint and minutes later detonated three roadside bombs, the officials said. Fifteen people were also wounded in the Azamiyah attack, which appeared concentrated in one street in the Sunni neighbourhood. #1: A border post was attacked on Friday morning by unknown gunmen in southern Amara, according to a security source. “Unknown gunmen fired a number of missiles on Umm Sa’a post, southeast of al-Kahlaa district, southern Amara, causing some material damage,” the source told Aswat al-Iraq news agency. #1: A roadside bomb targeting an Iraqi army patrol killed a solider and wounded three others on Thursday in the town of Baaj, 375 km (233 miles) northwest of Baghdad, police said. #1: One policeman was killed and two others were wounded in a sticky bomb blast in the south of Mosul, a police source said on Thursday. “A sticky bomb went off on Thursday (July 29) morning targeting a civilian motorcade of Brigadier Daham al-Juburi, a police officer, in al-Qayara district, south of Mosul, killing a cop and injuring two others, from his bodyguards,” the source told Aswat al-Iraq news agency. #2: Policemen in Ninewa found an unidentified body showing signs of having been shot in southern Mosul city on Thursday, according to a local security source. “The police found the body of a man in his 20s and showing signs of having been shot in the head in the area of al-Okaidat, southern Mosul,” the source told Aswat al-Iraq news agency. #3: Security forces killed a policeman after mistaking him for a suicide bomber west of Mosul city on Thursday, according to a local security source. “A force from the Oil Pipelines Protection (OPP) shot down a policeman near the Strategic Line in al-Mahlabiya district, west of Mosul, by mistake,” the source told Aswat al-Iraq news agency. “The policeman, who was on a leave of absence from duty, was speedily driving his private car into an OPP post. Suspecting the policeman was a suicide bomber targeting them, the OPP personnel, who were standing in a line to receive their salaries, opened fire on him, killing him instantly,” the source elaborated. #1: In Ghazni province, insurgents using small arms fatally shot six civilians building and repairing roads. Three others were killed and one was wounded when a bomb struck their vehicle. #2: In Paktiya province, one died and another was wounded by an improvised explosive device. #3: In Kandahar province, a roadside bomb killed three people and wounded two others. #4: Hundreds of British soldiers have launched an operation against Taliban insurgents in Afghanistan. Operation Tor Shezada began early on Friday morning in Helmand province in the south of the country. Soldiers from the 1st Battalion The Duke of Lancaster's Regiment, are trying to clear the Taliban from an important stronghold in the Nad Ali district. The Brigade Reconnaissance Force (BRF) was among the first wave of troops. Under cover of darkness, this small elite unit launched an airborne assault deep into insurgent-held territory. Hundreds of British and Afghan forces are moving by land and air towards the town of Saidabad. It is one of the areas that UK forces were unable to clear during Operation Moshtarak earlier this year. As many as 180 insurgents are believed to use the town as a base; it is where bombs are made, attacks are planned and injured fighters are treated. #5: AN Australian special forces soldier has been slightly wounded in Afghanistan. #6: Unidentified miscreants blew up a NATO oil tanker near western by-pass in Quetta, a private TV reported on Friday. Police said that a Nato oil tanker bound for Afghanistan from Karachi reached Akhtar Abad this morning. The driver pulled up the tanker at a patrol pump when after a while the tanker exploded with a loud bang, making the oil spill out. #1: A police officer and a Sahwa leader were killed by gunmen in southern Baghdad on Thursday, an official source said. “Four gunmen opened fire on a police officer, Ali Talaa, from the protecting establishments force, and the Sahwa leader, Ramadan Ibrahim, in al-Ray region in al-Shurta al-Khamesa district, southern Baghdad, killing them instantly,” the source told Aswat al-Iraq news agency. #1: In the eastern province of Diyala, a civilian was killed and three others were wounded in a shootout erupted following a quarrel between two families in a village near the provincial capital city of Baquba, some 65 km northeast of Baghdad, a source from the provincial operations command told Xinhua on condition of anonymity. #2: Separately, three passengers were wounded in a roadside bomb explosion near their minibus while travelling on a main road outside the town of Kan'an, some 20 km east of Baquba, the source said. #1: In Salahudin province in north of Baghdad, Brigadier Dahham al- Jubouri, an Iraqi army officer escaped with wounds a roadside bomb explosion near his convoy while moving on a main road in north of the town of Sherqat, some 280 km north of Baghdad, a source from the provincial operations command told Xinhua on condition of anonymity. One of Jubouri's bodyguards was killed by the blast and another was wounded, the source said. #2: Earlier in the day, Sherqat was the scene of a suicide truck bomb explosion when a suicide bomber drove his explosive-laden KIA truck into the entrance of a military base in the town, killing three soldiers and wounding 11 others, the source said in earlier report. #1: An Iraqi soldier was killed on Wednesday by gunmen in western Mosul, according to a security source. “Unknown gunmen shot and killed an Iraqi soldier near his house in Mosul al-Jadieda region, western Mosul,” the source told Aswat al-Iraq news agency. #2: A soldier’s wife was wounded on Wednesday in a bomb explosion in northwest of Mosul, according to a security source. “The bomb exploded on Wednesday evening (July 28) in front of the house of an army soldier in Zamar district, northwest of Mosul, injuring his wife, who was carried to a nearby hospital for treatment,” the source told Aswat al-Iraq news agency. #1: In Anbar province, a policeman was killed and an officer was wounded when a magnetic bomb attached to a civilian car detonated while passing a police checkpoint in the eastern entrance of the city of Fallujah, some 50 km west of Baghdad, a provincial police source told Xinhua on condition of anonymity. Four civilians in the car were also wounded by the blast, the source said. #2: In a separate incident, a roadside bomb went off near an Iraqi army patrol north of Fallujah, killing a soldier and wounding five others, the source added. #3: Sheikh Ihsan Abdulatief al-Douri has died of wounds he sustained in a bomb explosion on Wednesday, a medical source said on Thursday. “The sheikh died on Thursday morning (July 29) of wounds he sustained yesterday when a bomb exploded near his car while he was leaving al-Rawi mosque in central Falluja,” the source told Aswat al-Iraq news agency. A police source had said that a bomb exploded near the car of Sheikh Ihsan Abdulatief in al-Andalus neighborhood, central Falluja, killing one person, and injuring eight, including two children. #1-2: Insurgents killed six Afghan civilians and wounded three more in improvised explosive device attacks in Afghanistan on Wednesday, NATO's International Security Assistance Force said Thursday. Four civilians were killed and three wounded in Zabul province in the south and two died in Nimroz province in the southwest. #3: Taliban commander Mullah Abdullah who joined government two months ago was killed at his home in northern Kunduz province, provincial governor Mohammad Omar said Thursday. "Unknown armed men, possibly Taliban militants entered the house of Mullah Abdullah in Imam Sahib district on Tuesday night and shot him dead," Omar told Xinhua. Mullah Abdullah who used to serve as a group commander of Taliban fighters in Kunduz province switched side and joined government along with 20 of his men in early May. NATO is reporting the death of an ISAF soldier from an insurgent attack in an undisclosed location in southern Afghanistan on Tuesday, July 27th. #1: Meanwhile, two midmorning bombings in Baghdad killed six people and injured 15 others in the eastern Shiite slum of Sadr City, police and health officials said. The bombs, which went off close to each other about 9:15 a.m., were planted near a state-run bank where retirees were waiting to get their pensions, the officials said. The dead included three men, two women and one Iraqi security official, officials said. #1: Three civilians were wounded on Tuesday by gunmen in Jalawlaa district, according to a security source. “Unknown gunmen opened fire on a group of civilians in Dabaj region in Jalawlaa, southwest of Khanaqin, injuring three of them, who were taken to a nearby hospital for treatment,” the source told Aswat al-Iraq news agency. #1: A sandstorm downed an Iraqi military helicopter Wednesday, killing its five-man crew. Defence Ministry spokesman Maj. Gen. Mohammed al-Askari said the helicopter was flying to provide air protection to Shiite pilgrims travelling by road to the holy city of Karbala, when it crashed in the sandstorm early in the morning. #2: A mortar attack has killed seven people and wounded 46 in the southern Shiite holy city of Karbala as pilgrims gathered for a ceremony, Iraqi police say. "Several mortars landed at 11:00pm Tuesday [local time], killing seven pilgrims and injuring 46, in a neighbourhood located four kilometres north-west of the centre of the city," a Karbala police officer said. #1: A total of ten civilians were wounded in a blast in central Mosul on Tuesday, according to a security source. “Gunmen threw a hand grenade at a police vehicle patrol on Ghazi street in central Mosul on Tuesday (July 27), injuring ten civilians,” the source told Aswat al-Iraq news agency. #2: Unknown gunmen stormed a house and killed an old woman and her son in northern Mosul on Tuesday, a police source said. “Three armed men stormed a house in al-Muhanddiseen neighborhood, northern Mosul, where they killed an old woman and her 20-year-old son,” the source told Aswat al-Iraq news agency. #1: A bombing attack has targeted a crowded bus in southwestern Afghanistan, leaving at least 25 people killed and wounding some 20 others. The explosion took place early on Wednesday when a roadside bomb hit a civilian bus as it was travelling on a highway in the Delaram district of Nimruz province. "The roadside bomb struck a civilian bus this morning. Twenty civilians were killed and another 27 have been injured," AFP quoted provincial governor Ghulam Dastgir Azad as saying. #2: Taliban militants captured a NATO plane in Kunduz province north of Afghanistan Wednesday morning, a local official said but declined to be named. Meantime, Taliban spokesman Zabihullah Mujahid claimed that the militants captured a reconnaissance plane in Qalai Zal district at 09:00 .a.m. local time Wednesday. An official with NATO-led forces in Kunduz province also confirmed the incident. "A reconnaissance UAD plane made emergency landing in Yangariq area of Qalai Zal district this morning," Lieutenant Colonel Weber told Xinhua. However, he did not say if there were any crews inside the plane. #3: Seven Polish soldiers were wounded in eastern Afghanistan on Tuesday when a roadside bomb blew up as their armoured vehicle passed, the Polish defence ministry said. "In the south of the province of Ghazni, the rebels attacked a Polish patrol with an explosive device planted on the side of the road," the ministry said in a statement. The British MoD is reporting the death of a British ISAF soldier from an IED blast in the Sangin area, Helmand province, Afghanistan on Monday, July 26th. Here's the ISAF statement. NATO is reporting the death of an ISAF soldier who went missing in eastern Afghanistan on Sunday, July 25th. News reports that he was an American sailor named Justin McNeley. #1: One civilian was killed on Tuesday and four other people wounded when a roadside bomb went off in western Baghdad. “A roadside bomb went off today targeting a police patrol in the al-Ghazaliya area, western Baghdad,” a local security source told Aswat al-Iraq news agency. He noted that two policemen are among the injuries. #2: Iraqi police forces seized on Tuesday a car bomb parked near one of the Green Zone’s (GZ) gates in Baghdad. “The forces defused the car bomb,” a local police source told Aswat al-Iraq news agency. #1: Two car bombs targeting Shiite pilgrims during a religious festival in the holy city of Karbala killed 25 people yesterday, Iraqi police and hospital officials said. Sunni extremists are suspected. Militants detonated two parked cars filled with explosives about two miles apart as crowds of pilgrims passed by. Police and medical officials in Karbala, 50 miles south of Baghdad, said 68 people were injured in the attacks. The pilgrims were on their way to Karbala to take part in an important religious holiday, known as Shabaniyah, that attracts devout Shiites from around the country. #1: Two policemen were wounded on Tuesday when a roadside bomb went off in Taza district, southwest of Kirkuk city. “The blast targeted a police patrol in the district’s Industrial Area, 10 km southwest of Kirkuk city,” a local police source told Aswat al-Iraq news agency. #1: Attackers hurled a hand grenade into a busy market in central Mosul, 390 km (240 miles) north of Baghdad, and the explosion wounded 12 people, police said. 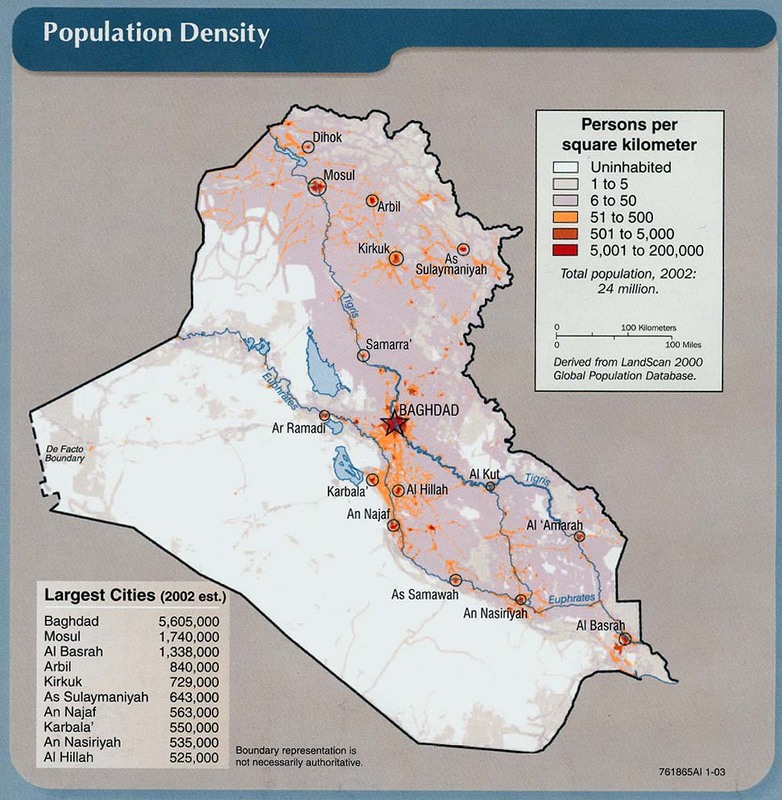 #2: Gunmen shot dead two women in an alley in eastern Mosul, north of Baghdad, on Monday, police said. #1: Afghan security forces backed by NATO-led troops, in efforts to root out militants in the northern Kunduz province, kicked off a three day offensive that concluded on Monday, killing five Taliban militants and injuring 10 others, a statement of Interior Ministry said Tuesday. "A joint cleanup operation launched by Afghan National Police, Army and Coalition troops was launched on Saturday and ended on Monday in Nahri Sufi area of Chardara district. As a result five enemies of peace and stability were killed and 10 other enemies were injured,"the statement said. It said that no casualties were inflicted to combined forces. #2: Insurgents killed six Afghan civilians and abducted a government official in Parwan province northwest of Kabul on Monday, the NATO-led force said. #3: Rescue operation with the involvement of Afghan and NATO-led troops for the recovery of the missing U.S. soldier has expanded to Ghazni province as three militants have been killed, police said on Tuesday. "The rescue operation launched Monday in Andar district and so far three Taliban militants have been killed and two others sustained injuries,"deputy to provincial police chief Nawroz Ali Mahmoudzada told Xinhua. He also said that intelligence reports indicate that the insurgents had taken the U.S. soldier to Andar district. #1: At least four people were killed and other ten were injured on Monday when a suicide bomber blew up a vehicle by the Baghdad offices of Al-Arabiya television. The bomber struck at around 9:00 am (0600 GMT) in front of the station's bureau in the city center, wounding 16 people according to an interior ministry official. The journalist added that of the people killed, two had been identified as a security guard and a female office assistant. #2: Eight policemen and six civilians were wounded when two roadside bomb struck a police patrol in the Ghazaliya district of western Baghdad, an Interior Ministry source said. #3: One policeman was killed and three wounded when two roadside bombs targeting an on foot patrol went off in the Doura district of southern Baghdad, an Interior Ministry source said. #4: A sticky bomb attached to a car carrying an off-duty policeman killed him and wounded three people in Baghdad's southern Saidiya district, an Interior Ministry source said. #1: A four-year-old child was killed by a stray bullet in northern Mosul, police said. #1: A suicide bomber struck Monday near the home of a Pakistani provincial minister whose only son was recently killed by suspected Islamist militants, officials said. Seven people were killed and 25 wounded. Mian Iftikhar Hussain, information minister of Khyber-Pakhtoonkhwa province and an outspoken critic of the Taliban, was the apparent target. He was receiving condolences from visitors elsewhere in Pabbi town at the time of the blast and was safe. Some of his relatives were also receiving mourners at a mosque near the house, but none were hurt, police said. The suicide bomber Monday was on a motorcycle and was rushing toward the minister's home when intercepted by security officials, senior police official Liaquat Ali Khan said. The bomber, believed to be a young boy, then set off his explosives. Three police were among those killed by the blast. The victims also included two children. A local hospital official, identified on TV reports only as Dr. Akbar, said seven bodies had arrived. Another hospital official, Tariq Khan said of 25 people wounded, eight were in critical condition. #2: Nineteen people died in three US drone strikes in north-west Pakistan on Sunday, a day after a similar raid killed 16 others, say local officials. They said 10 suspected militants died in a strike in the Shaktoi area of South Waziristan on Sunday morning. Later, two more raids killed five in Tabbi Tolkhel, North Waziristan, and four in Srarogha, South Waziristan. Last week, a BBC investigation found more than 700 people had died in such drone strikes since January 2009. #3: A helicopter on Monday morning crashed in eastern part of Afghan capital Kabul, Defense Ministry spokesman Zahir Azimi said. "A helicopter crashed in Pul-e-Charkhi area east of capital city Kabul," Azimi told Xinhua. However, he added that the chopper belongs to NATO-led troops and there is no casualty. The incident occured during landing time, he further said. NATO-led troops has yet to make comment. An ISAF aircraft made a hard landing along the perimeter of a coalition force camp in Kabul province this morning. Four aircraft passengers received minor injuries. #4: The Taliban have captured a strategic district from the Afghan government after days of clashes in eastern Nuristan province, officials said on Sunday. In Nuristan’s Barg-e Matal, dozens of Taliban fighters and up to six Afghan police were killed during days of clashes before the district fell to the Taliban overnight. Barg-e Matal is important for the government and militants because of its location and has regularly changed hands. Afghan police forces withdrew from Barg-e Matal to avoid high casualties and in the face of sustained Taliban pressure after days of skirmishes, interior ministry spokesman Zemarai Bashary told reporters. “Right now the police forces in Nuristan are working to recapture it,” he said. Afghan forces regained the control of Barg-e-Matal district in the eastern Nuristan province, day after it overrun by Taliban militants, Interior Ministry said in a statement on Monday. "Afghan national army and police backed by NATO-led forces recaptured Barg-e-Matal district late last night," the statement added. #5: A large blast heard shortly before noon in the Afghan capital on Monday was a controlled explosion by authorities, police said on Monday. #6: At least two policeman were killed and another 14 injured when some 200 militants launched a sudden attack at a checkpost near Peshawar in northwest Pakistan during the wee hours of Monday morning. According to the local media reports, the attack took place at a checkpost in the area of Achni, a small town near Peshawar, the largest city in northwest Pakistan, which is frequently attacked by the militants hiding in its neighboring tribal areas bordering Afghanistan. The casualties on the side of the militants are not known yet. #7: At least 45 civilians, many women and children, were killed in a rocket attack by the NATO-led foreign force in Afghanistan’s southern Helmand province last week, a spokesman for the Afghan government said on Monday. The incident happened in Helmand’s Sangin district on Friday when civilians crammed into a mud-built house to flee fighting between NATO-led International Security Assistance Force (ISAF) troops and Taliban insurgents, Siyamak Herawi told Reuters. Gunmen using silenced pistols killed two policemen at a checkpoint in western Mosul on Saturday, according to a military source. Sixteen civilian bystanders injured in a grenade attack on a police patrol, also on Saturday. One police officer killed, a second is wounded along with a child in a bomb attack on a police patrol. Iraqi Ministry of Defense claims to have arrested three al-Qaeda leaders. Iraqi soldiers arrested Saleem Khalid al-Zawbayi, the minister of defence for the Islamic State of Iraq (ISI)," [Defense Ministry spokesman Major General Mohammed] Askari said. "He was arrested on Wednesday evening south of Baghdad," he added. 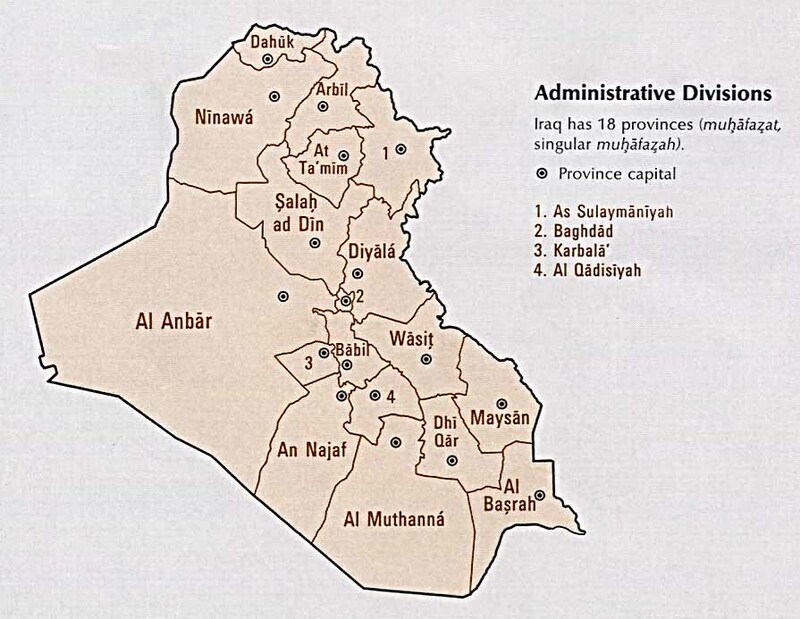 Zawbayi is suspected of organising a July 18 suicide bombing in the town of Radwaniyah, west of Baghdad, targeting anti-Qaeda militiamen being paid their wages. Forty-five people were killed and 46 wounded. Askari also said that two brothers -- Jaabar and Qadoori Radhi Khamis al-Zaidi -- believed to have been responsible for operations in Diyala, were arrested in the northern city of Tikrit, where they were based." The battle over who will lead Iraq's most popular sport after Saturday's [Iraqi Football Association] IFA poll elections has fueled the country's bitterly sectarian politics as the authorities struggle to form a new government more than four months after the inconclusive parliamentary elections in March. The bickering spilled over into football with the government backing Shi'ite Falah Hassan against the incumbent Hussein Saeed - named in one of the arrest warrants - for the top job at the IFA. The Shi'ite-dominated government has long wanted to purge IFA of any officials with alleged ties to the former Ba'athist administration. Last Sunday men in military-style uniforms raided the IFA offices carrying arrest warrants for several of its officials. On Wednesday Fifa warned that any governmental meddling in the association's electoral process could lead to a suspension. The US military withdrawal from Iraq is on schedule, according to the commander of US forces there, General Raymond Odierno. Just 50,000 troops will remain after August 31, down from a peak of more than 170,000 and ahead of a full withdrawal in 2011. Odierno however acknowledged to reporters in Washington at mid-week that despite some progress, "we have not solved the problems of the disputed areas" of northern Iraq. "That's a problem that has to be dealt with in the future," he said. "Do I think this will be resolved by the end of 2011? No." The US intelligence community's annual threat assessment earlier warned about the volatile region. 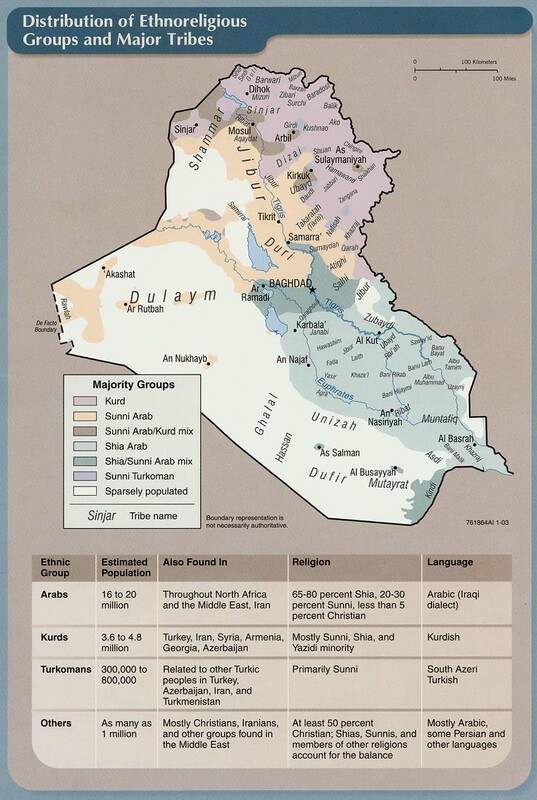 Regional tensions "have the potential to derail Iraq's generally positive security trajectory, including triggering conflict among Iraq 's ethno-sectarian groups," then-Director of National Intelligence Dennis Blair wrote in the assessment, out in February. Land ownership, control of oil resources, and integrating Kurdish peshmerga fighters into Iraq's army are issues that "still need to be worked out, and miscalculations or misperceptions on either side risk an inadvertent escalation of violence." From The Guardian: A key witness to the Chilcot inquiry into the Iraq war has accused Whitehall of trying to silence embarrassing testimony undermining the case for the invasion. In today's Observer, Carne Ross, the UK's Iraq expert at the UN between 1997 and 2002, writes that the inquiry is being prevented by "deep state" forces from establishing the government's true motivation for invading Iraq. Ross, who appeared before the inquiry this month, says he was not provided with key documents relevant to his testimony and was warned by officials not to refer to an internal Foreign Office memo that contradicted the government's public case for war. A candidate for Parliament in Ghazni is abducted. "'A group of armed militants went to the house of Hajji Najibullah in Jangalak village of Qarabagh district on Saturday evening and took him away to unknown location,' district governor Mohibullah Khapalwak told Xinhua." Taliban militants captured the mountainous Barg-e-Matal district in Afghanistan's eastern Nuristan province after a fierce clash with police, a private television channel Tolo reported Sunday. Citing provincial governor Jamaludin Badar, the television reported that police had retreated Saturday, allowing militants to overrun Barg-e-Matal district. Reuters confirms the Taliban advance in Nuristan and also refers to "reports by residents that dozens of civilians were killed in a raid by foreign forces on Friday [in Helmand]. Further details were not immediately available." Jihad is a Muslim’s duty. The local government is afraid of this word. A preacher cannot call himself a preacher if he does not condemn the occupation [by the American military] and describe jihad as a religious obligation. Sunni cleric Sheikh Muntasar al-Majmaei of Katoon mosque in Baquba, reacting to a government ban on incendiary sermons. Many believe this will be exercised selectively against Sunnis. NATO is reporting the death of an ISAF soldier from a roadside bombing in an undisclosed location in southern Afghanistan on Saturday, July 24th. News reports this is an American. The Washington Post is reporting the deaths of four more ISAF soldier from a roadside bombing in an undisclosed location in southern Afghanistan on Saturday, July 24th. News reports these are also Americans. #1: Three U.S. soldiers were wounded when their base in southern al-Nasseriya city came under a rocket attack on Friday, a spokesman for the U.S. forces in the base said. “Imam Ali airbase, (18 km) southern Nasseriya, came under a rocket attack on Friday (July 23), leaving three soldiers injured,” Major Allen Brown told Aswat al-Iraq news agency. #1: A car bomb in Iraq's ethnically divided northern oil hub of Kirkuk seriously wounded its police chief and killed his son on Friday, a police officer said. The blast, which struck at around 1:45 pm (1045 GMT) in the city, 240 kilometres (150 miles) north of Baghdad, also wounded another policeman and eight passersby. "Kirkuk police chief Borhan Habib Tayeb was seriously wounded and his son, Lieutenant Wissam Borhan Habib, was killed ... by a car bomb targeting their convoy in the south of the city," police Colonel Ghazi Mohammed Saleh said. #1: A candidate for Afghanistan's September parliamentary elections was killed and 20 others wounded by a bomb planted in a mosque in Khost, officials have said. Sayedullah Sayed, who also leads a small political party, was fatally wounded when a bomb detonated shortly before Friday's main prayers in the Ismail Khel of the province, provincial police chief Abdul Hakim Eshaaqzai said. #2: U.S. missiles hit a suspected militant hide-out, killing 16 insurgents in a troubled Pakistani tribal region along the Afghan border before dawn Saturday, intelligence officials said. The six missiles struck a compound in the Nazai Narai area of South Waziristan. #3: Two blasts occurred at a road construction site in Qambar area of Khyber Agency in northwest Pakistan Saturday morning, reported local Urdu TV channel ARY. Sources from Khyber Agency confirmed the report in a telephone interview with Xinhua, saying no casualties have been reported in the blasts. NATO is reporting the deaths of two ISAF soldiers in a helicopter crash in an undisclosed location in southern Afghanistan on Thursday, July 22nd. We assume these to be Americans. The DoD is reporting what we suspect to be a new death previously unreported by the military. Staff Sgt. Brian F. Piercy died from a roadside bombing in the Arghandab River Valley, Helmand province, Afghanistan on Monday, July 19th. #1: A rocket attack on Baghdad's fortified Green Zone killed two Ugandans and a Peruvian working for a U.S. security contractor hired to protect U.S. facilities in Iraq, the U.S. embassy said. Fifteen people, two of them American, were wounded in the attack. #2: Two mortar rounds wounded three civilians in Abu Dsheir District, southern Baghdad. #3: Gunmen opened fire at an Iraqi army checkpoint and wounded an army officer in central Baghdad, on Thursday, an Interior Ministry source said. #4: A roadside bomb wounded three people in Baghdad's southeastern suburb of Madaen, on Thursday, an Interior Ministry source said. #5: Four detainees, awaiting trial on terrorism charges, have broken out of Iraq's Karkh prison on the outskirts of Baghdad, says the justice ministry. The four, whose names are withheld, managed to break out of prison with the assistance of the warden. The escape was the second of its kind in less than two weeks. Another prisoner who was serving a life sentence for allegedly killing Margaret Hassan -- a British aid worker in Iraq -- broke out of the prison on July 14, a day before US forces handed over the facility to Iraqi forces. The high security detention center, formerly known as Camp Cropper, had once held the former dictator Saddam Hussein and other senior members of the Baath regime. #1: The death toll climbed to 16 in Wednesday's bombing of an outdoor market in a predominantly Shiite town in Iraq's Diyala province, police said Thursday. 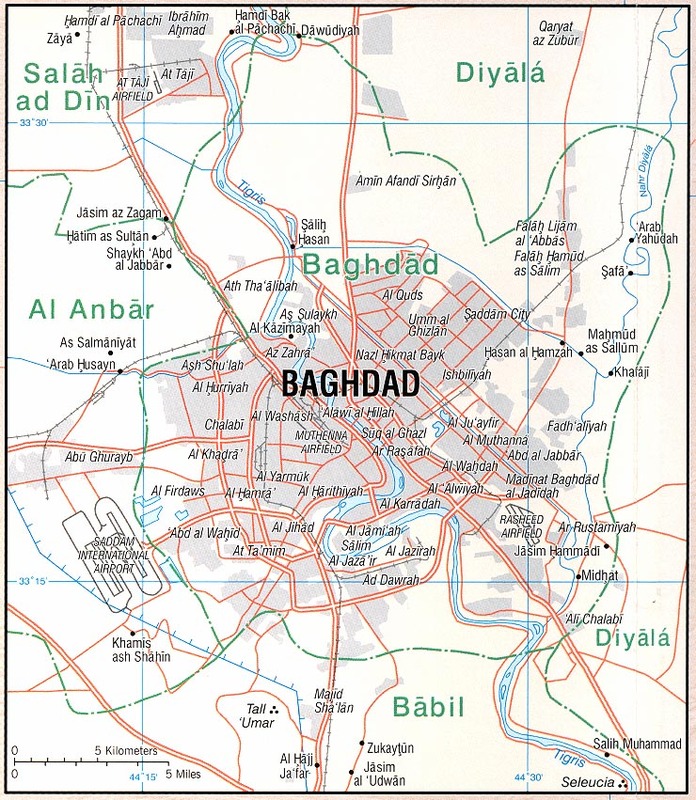 Another 32 people were wounded in the attack in Abu Sayda, north of Baghdad, including a number of women and children. The bomb was in a parked car and exploded in the market, which includes a clinic and a Shiite mosque. #1: A roadside bomb wounded nine people in a cafe in Iskandariya, 40 km (25 miles) south of Baghdad, on Thursday, police said. #1: A civilian man was killed and a woman and two cops injured in an attack by unidentified gunmen in a crowded commercial spot in central Mosul city on Thursday, according to a local police source. “Gunmen opened fire today (July 22) on two policemen in their military vehicle while it was driving by in the area of Ghazi street, central Mosul, leaving them wounded,” the source told Aswat al-Iraq news agency. “The incident also left a civilian man killed and a woman injured as both were in the line of gunmen fire,” he added. #2: Unidentified gunmen shot down the imam and preacher of al-Salam mosque near his home in Mosul city on Thursday, according to a source from the Sunni Endowment Department in Ninewa. “Unknown gunmen killed Sheikh Fathi Ezzeddin al-Noaimi, the imam and preacher of al-Salam mosque in the village of al-Oraij, Mosul,” the source told Aswat al-Iraq news agency. “Gunmen knocked on the door of Noaimi’s house in Zanjili area. The gunmen, identifying the sheikh, opened fire on him. He ran inside the house and then they ran after him and opened a volley of fire on him until he died,” the source explained, adding the armed men later escaped to an unknown place. #3: A policeman was killed and five others wounded in two improvised explosive device attacks on a police patrol in western Mosul city on Thursday, a security source said. “Two IEDs went off successively on a police patrol in the area of Dorat al-Yarmuk, western Mosul, leaving a policeman killed and five others, including one civilian, wounded,” the source told Aswat al-Iraq news agency. “The explosions caused damage to one of the patrol vehicles,” he said, adding the wounded were rushed to the nearby al-Jumhuriya hospital. #4: “A civilian man was killed by unidentified gunmen fire on a main road in the area of al-Zanjili, western Mosul, and later escaped to an unknown place,” the source told Aswat al-Iraq news agency. Gunmen killed two civilians in two separate incidents in western Mosul, police said. #5: “In another incident, an IED went off near an Iraqi army patrol in al-Islah neighborhood, western Mosul, leaving two soldiers wounded,” he added. #6: “An IED went off near an Iraqi army patrol in al-Maarif neighborhood, northern Mosul, leaving three civilians, including a man and his son, wounded,” the source told Aswat al-Iraq news agency. #7: Two civilians were wounded when a roadside bomb exploded near them in western Mosul, police said. #8: Gunmen killed a baker and wounded his son when they stormed his bakery in western Mosul and sprayed it with bullets, police said. #9: A sticky bomb attached to the car of a former officer in the Iraqi army killed him in western Mosul, 350 km (240 miles) north of Baghdad, police said. #1: A sticky bomb attached to a car killed one person and wounded two others in Falluja, 50 km (32 miles) west of Baghdad, police said. #1: At least three people were killed in twin remote-controlled bomb blasts Friday in Tehsil Mamond area of Bajaur tribal agency, northwest Pakistan, local media reported. The victims include a local Peace Committee member Sardar Ali in the tribal area bordering Afghanistan. #2-3: At least 21 militants were killed as Pakistani troops stepped up a ground and air offensive against militants Friday in Orakzai tribal area in the northwest of Pakistan, local media reported citing official sources. The 16 dead also included important militant commanders Suleman Mehsud and Hafeezullah while 12 others were injured in gunship helicopters shelling. Three hideouts of militants were also destroyed. In Kalaya area of Orakzai agency five more militants were killed. Two troops were injured in the clash, local sources said. #3: Meanwhile, in Hungu district of northwest, police have defused a 12-kilogram remote-controlled bomb in the vicinity of Samana road. MNF-Iraq (OIF) is reporting the death of A United States Division - North Soldier from a roadside bombing somewhere in Diyala Province, Iraq on Wednesday, July 21st. The British MoD is reporting the deaths of two British ISAF soldiers from small arms fire in the Lashkar Gah District, Helmand province, Afghanistan on Wednesday, July 21st. Lawton Officer Dies In Afghanistan Shooting: According to police, Charles Buckman was killed while working as a shooting instructor. Investigators said an Afghan army sergeant shot Buckman. Police said Buckman was conducting a training session when the man opened fire, killing him and two others, and wounding two more. #1: Two men, including the Sunni leader of a local mosque, were killed by gunmen in the northern city of Kirkuk, Iraqi police sources said Thursday. The gunmen opened fire from inside a BMW passenger car at Diaa Ahmed, an imam at the mosque, and another man who worked for the Iraqi Drilling Company. #1: An army officer and two policemen were wounded in two separate incidents in Mosul on Wednesday, a security source said. “A bomb, stuck to the vehicle of Colonel Aziz Soliman of the 3rd division of the Iraqi army, went off in al-Makouk village in al-Qayara district, south of Mosul, injuring him,” the source told Aswat al-Iraq news agency. “An improvised explosive device went off on Wednesday (July 21) targeting S.W.A.T vehicle patrol in al-Yarmouk region in western Mosul, injuring two policemen,” he added, without giving more details. #1: Thirty militants were killed and 18 others sustained injuries in retaliatory fire by security forces when a convoy of forces advancing towards Zokhtan area in Dabori, upper Orakzai Agency, was attacked by insurgents, leaving three soldiers dead and six others wounded on Wednesday, official and tribal sources said. The sources said the gunbattle started when the militants attacked the troops heading towards Zokhtan area from two directions. Sepoy Ghulam Bashir, Sepoy Mehrab and Sepoy Ramzan were killed on the spot during the militants attack. Soldiers, who sustained injuries, included Ghulam Sarwar, Tanvir Shah, Kaleemullah, Nadeem and Qayyum, the sources said. The wounded were airlifted to the Combined Military Hospital, Kohat. Security forces returned the fire and killed 30 militants and injured several others by using heavy weapons against them, the sources reported. The forces also destroyed two vehicles of militants. #2: A government official says a local Taliban commander and his aide died when a bomb they were constructing in the militant chief's home in northwestern Pakistan exploded. Syed Ghafoor, a local official, says Thursday's blast in the Bajur tribal region also wounded several members of commander Irshad Khan's family. He says Khan was behind several attacks on troops in the region and had contacts with top Taliban leaders in nearby North and South Waziristan. #3: At least 100 NATO oil tankers were stopped by Pakistani security forces Thursday in Khyber tribal agency in northwest Pakistan, local media said, citing official sources. The tankers were stopped from moving ahead into Afghanistan at Takhtabai in Jamrud area for safety reasons, as the sluggish customs clearance on the Afghan side of the border at Torkham has created a long line of trucks, officials said. The DoD is reporting a new death of a soldier previously unreported by the military. Sgt. Jesse R. Tilton died at Landstuhl Regional Medical Center, Germany on Friday, July 16th. He was wounded by small arms fire, gunshot/RPG in Kandahar City, Afghanistan on Tuesday, July 13th. The DoD is reporting another new death of a soldier previously unreported by the military. Sgt. Anibal Santiago died from a non-combat related incident somewhere in Khost, Afghanistan on Sunday, July 18th. The Danish MOD is reporting the death of a Danish ISAF soldier in an IED attack at FOB Budwan, Helmand province, Afghanistan on Wednesday, July 21st. One additional soldier was wounded in the attack. The DND/CF is reporting the death of a Canadian ISAF soldier in an IED attack in the Panjwa’i District, about 15 kilometres southwest of Kandahar City, Kandahar province, Afghanistan on Tuesday, July 20th. Security guard killed in Iraq named: Nicholas Crouch, 29, was escorting US Army engineers to a hospital under construction in the city of Mosul when his convoy came under attack at about 9am on Monday. #1: A civilian was killed and three others were wounded when a magnetic bomb attached to a car detonated in Baghdad's western neighborhood of al-Ameriyah, an Interior Ministry source told Xinhua on condition of anonymity. #2: In separate incident, two policemen were wounded in a roadside bomb explosion near their patrol in Baghdad's southern district of Doura, the source said. #3: Also in Baghdad, two civilians were wounded in a roadside bomb explosion in Palestine Street in eastern the capital in the morning, the source added. #1: In Diyala, three family members were wounded when unknown gunmen attacked their house in the city of Khalis, near the provincial capital city of Baquba, some 65 km northeast of Baghdad, a source from the provincial operations command told Xinhua on condition of anonymity. The attack took place at dawn when the attackers opened fire on the house with assault rifles and rocket-propelled grenades, the source said. #2: Separately, unidentified gunmen opened fire on a checkpoint manned by an Awakening Council group, wounding one of the group members, the source added. #3: In a separate incident, a roadside bomb struck a U.S. patrol outside Maqdadiyah, damaging one of the U.S. vehicles, the source said without giving further details. The U.S. military has no immediate comment about the incident. #1: Four Katyusha missiles hit the Delta Base west of Kit city, a local security source said on Wednesday. “Unknown gunmen launched four Katyusha rockets late Tuesday night targeting the Delta Base, 7 km west of Kut city, which hosts Multi National Forces (MNF) in Wassit province,” the source told Aswat al-Iraq news agency. He noted that Iraqi police forces rushed to the launching site at the al-Jihad neighborhood, western Kut, looking for the attackers. MNF in the Delta Base has so far made no comment on the attack. #1: Three persons were wounded on Wednesday when a roadside bomb went off west of Kirkuk city. “The bomb targeted a civilian vehicle near the Bajwan village, 15 km west of Kirkuk city,” a local police source told Aswat al-Iraq news agency. He noted that the blast devastated the car, and wounded the three persons inside it. #1: Six civilians were wounded on Tuesday by a hand grenade in central Mosul, according to a security source. “A gunman threw a hand grenade on a police vehicle patrol in a market in al-Midan region, central Mosul, injuring six civilians,” the source told Aswat al-Iraq news agency. #2: A gunman was killed on Tuesday when the bomb he was planting went off in northern Mosul, a security source said. “The gunman was planting a bomb on a road in al-Shurta neighborhood in northern Mosul, when it exploded suddenly, killing him instantly,” the source told Aswat al-Iraq news agency. #1: One civilian was killed on Wednesday when unknown gunmen targeted his house in central Falluja city. 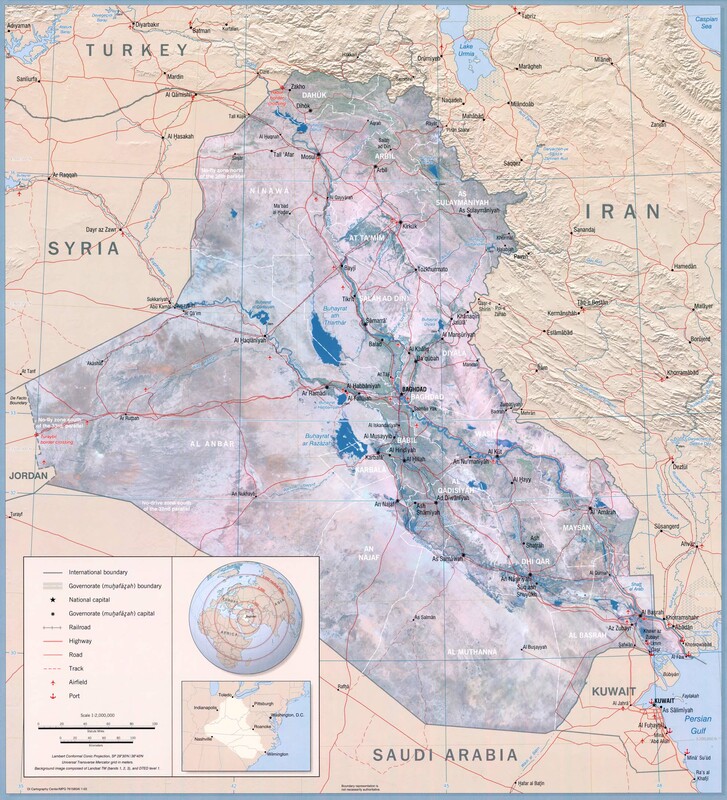 “Unidentified gunmen used roadside bombs to attack a citizen’s house in the al-Golan neighborhood, central Falluja,” a local security source told Aswat al-Iraq news agency. He noted that the civilian died instantantly, while his house was heavily damaged. #1: At least 25 militants were killed in clashes with security forces in the Orakzai tribal region, DawnNews reported. According to government sources, security forces were advancing through upper Orakzai’s Dabori and Alikhel areas. One soldier died during the clash while four others were injured. #2: Taliban insurgents beheaded six Afghan police during a raid on government buildings in northern Baghlan province, the NATO-led International Security Assistance Force (ISAF) said on Wednesday. Tuesday's attack by the Taliban targeted a police post and and a district government building in a province where they have been largely absent until recently. It came on the same day an international conference agreed Afghan forces should be leading security operations across the country by 2014, with the aim of relieving foreign troops in some areas by as soon as the end of the year. A spokesman for the Taliban confirmed the attack, but denied the alliance's report on beheadings. While the Taliban has carried out beheadings before, the governor of Baghlan, Abdul Majid, said he was unaware of the mutilation report. #3: An Afghan soldier opened fire on U.S. civilian trainers at an army base in northern Afghanistan, killing two Americans before being shot dead, the Defense Ministry said Wednesday. An argument started during a weapons-training exercise and the Afghan soldier turned his gun on the Americans on Tuesday, the ministry said in a statement. Another Afghan soldier was killed in the resulting crossfire, and the shooter was later gunned down. NATO previously said two Americans and two Afghan soldiers were killed by gunfire at a firing range outside Mazar-e-Sharif, but it did not provide details on how the incident occurred. The soldier fled after that attack, leaving his motive unclear. But the Taliban claimed he was a militant sympathizer taken in by insurgents after the assault. #4: Afghan forces backed by NATO-led International Security Assistance Force (ISAF) raided Taliban hideouts in Chardara district of northern Kunduz province eliminated five militants, provincial governor Mohammad Omar said Wednesday. "The operation took place late Tuesday night during which the troops killed five rebels and arrested three others," Omar told Xinhua. There were no casualties on the troops, he emphasized. #5: Several rockets struck a coalition base at Kandahar Airfield in southern Afghanistan on late Tuesday evening, but caused no injuries, the Australian Department of Defence said on Wednesday. One of the rockets caused minor damage to an Australian facility at the Multi-National Base, but caused no casualties. #6: Militants fired a mortar at a security post in the region on the Afghan border, killing one soldier and damaging the post. #7: Some 13 Taliban militants were killed as aircraft raided their hideout in Pushtroad district of Farah province in western Afghanistan, police said Wednesday. "Acting upon intelligence report NATO aircraft raided a hideout of Taliban militants in Pushtroad district Tuesday morning killing 13 rebels and wounding 15 others," Ikramudin Yawar told Xinhua. NATO is reporting the death of an ISAF soldier from an IED blast in an unidentified location in southern Afghanistan on Tuesday, July 20th. "There was no credible intelligence to suggest that connection and that was the judgment, I might say, of the CIA," she told the inquiry. "It was not a judgment that found favour with some parts of the American machine." Manningham-Buller said those pushing the case for war had given undue prominence to scraps of inconclusive intelligence on possible links between Iraq and the 2001 attacks. She suggested the dispute led former U.S. Defence Secretary Donald Rumsfeld to disregard CIA intelligence in favour of work produced by his own department. #1: A suicide car bomber struck a residential area in a town in Diyala province in eastern Iraq on Tuesday, killing three civilians and wounding nine others, a provincial police source said. The attack took place around midday when a suicide bomber blew up his explosive-laden car at a residential area in the town of Qara-Tappa, some 120 km north of the provincial capital city of Baquba, the source from Diyala operations command told Xinhua on condition of anonymity. The powerful blast destroyed three houses in the Shiite Turkman neighborhood, the source said. #2: Late on Monday, Baquba, some 65 km northeast of Baghdad, was the scene of another suicide bomb attack when a suicide bomber detonated his booby-trapped car at a parking lot close to the casino in the city, killing seven people and wounding 26 others. #1: “A roadside bomb went off today targeting a police patrol near the Domez Bridge, south of Kirkuk city, wounding three policemen and damaging their patrol vehicle,” a local police source told Aswat al-Iraq news agency. #2: “Two roadside bombs went off today targeting an Iraqi army patrol near the al-Zab district, 85 km southwest of Kirkuk city, wounding a soldier and damaging the patrol’s vehicle,” another police source said. #3: Gunmen on a motorcycle shot and injured a civilian in southeastern Kirkuk, 250 km (155 miles) north of Baghdad, police said. #1: Iraqi army forces killed on Monday a suicide bomber in central Talafar in west of Mosul, according to a military commander. “A force from the 10th brigade of the 3rd division of the Iraqi army killed on Monday afternoon (July 19) a suicide bomber wearing an explosive belt strapped to his body before detonating himself in a crowded area in al-Taliaa neighborhood in central Talafar,” Brigadier Abdulrahman Hanzal Abu Raghief told Aswat al-Iraq news agency. “The forces stopped the man and asked him to show his identity, but he threw a hand grenade on them. They riddled him with bullets before detonating him remotely without casualties,” he added. #1: A sticky bomb attached to car of an anti-al Qaeda Sahwa militia leader killed him in western Falluja, 50 km (32 miles) west of Baghdad, police said. #1: NATO troops said they killed several insurgents preparing to attack a major international conference in Kabul, with the Afghan capital under security lockdown for the high profile event on Tuesday. The alleged militants were killed during a raid on a house on the southern edge of the city overnight, NATO's International Security Assistance Force (ISAF) said, suspecting the Taliban of plotting an attack on the conference. Two other militants were captured while "pursuing a Taliban facilitator believed to be in final stages of preparation for attacks against the Kabul conference," it said. #2: The interior ministry said suspected militants fired rockets into Kabul late Monday, landing near the airport but causing no casualties. Local journalists said two short-range rockets had landed early on July 20 at Kabul International Airport. According to the reports, several people were injured as a result. Intense rocket barrage prevented a plane carrying United Nations Secretary General Ban Ki-moon and Swedish Foreign Minister Carl Bildt from landing at the Kabul airport on Tuesday and the aircraft was forced to be diverted to Bagram air base. The two dignitaries were arriving in the Afghan capital to attend an International Conference on Afghanistan and the attack was confirmed by the Swedish foreign minister on his blog. "...Rockets hit the airport just when we were coming in to land," read the blog posted at 05:30 hours in the morning (local time). Officials later confirmed that the flight was diverted to nearby Bagram base from where the two VVIPs were ferried by a Black Hawk helicopter. #3: Five militants were killed Tuesday morning when security forces thwarted a planned attack targeting a military training camp in northwest Pakistan, intelligence officials told CNN. Two Pakistani intelligence officials said security forces opened fire on the militants as they were scaling one of the camp walls around 6 a.m.Tuesday morning. Three of the attackers, who were strapped with suicide vests, blew themselves up during the gunfight, officials said. They said security forces shot and killed two militants. Another two militants remain at large.The training camp is located in Mardan, a city in Pakistan's Khyber-Pakhtunkhwa province. #4: In other events, Pakistani jet fighters and helicopters pounded militant hideouts with air strikes on Monday killing 42 suspected militants, two Pakistani intelligence officials told CNN. The officials said the militant hideouts were located in Orakzai and Kurram, two of the seven districts in Pakistan's tribal region along the Afghan border. In March, the Pakistan military launched an offensive in Orakzai to flush out foreign and Pakistani militants who had escaped an earlier offensive in South Waziristan. #5: Two people were killed and five others were injured on July 20 when a bomb went off in the Afgnah capital, Kabul, just ahead of the International Conference on Afghanistan, witnesses said, according to RIA Novosti. The blast reportedly occurred in Kabul's Khair Khana area at about 6:10am MOSCOW time (2:10am GMT) despite enhanced security measures. The Afghan Interior Ministry confirmed the reports on the blast, which, according to the ministry, injured several people. The ministry has called on Kabul residents to stay home on July 20. The British MoD is reporting the death of a British ISAF soldier from a vehicle accident in the vicinity of Camp Bastion, Helmand Province, Afghanistan on Friday, July 16th. NATO is reporting the death of an ISAF soldier from an IED blast in an unidentified location in southern Afghanistan on Monday, July 19th. News reports this is an American. The Washington Post is reporting that a second U.S. soldier died in a separate IED attack in an undisclosed location in southern Afghanistan on Monday, July 19th. #1: Undersecretary of the Iraqi Agriculture Ministry, Mahdi Dhamad, survived assassination in central Baghdad on Monday. “Two roadside bombs subsequently hit Dhamad’s convoy passing today through the al-Gaylani Intersection, central Baghdad,” a local security source told Aswat al-Iraq news agency. The source noted that Dhamad was not harmed in the attack, but the two bombings caused injuries to one of his guards, as well as four civilians who were passing nearby. #2: “A roadside bomb went off on Palestine Street, eastern Baghdad, targeting a police patrol, wounding a cop and damaging the patrol’s vehicle,” a local security source told Aswat al-Iraq news agency. #3: “A roadside bomb went off in al-Bayaa area, southwestern Baghdad, wounding three civilians,” the source added. 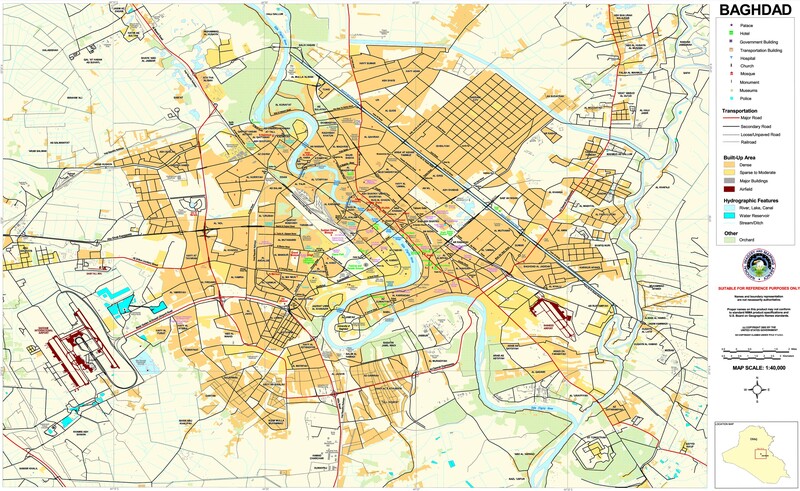 #4: He noted that police forces were able to defuse two roadside bombs in al-Rissala neighborhood, southwestern Baghdad, without causing any casualties or damage. #1: Gunman in a car shot dead a civilian on Sunday in southern Kirkuk, 250 km (155 miles) north of Baghdad, police said. #1: A suicide car bomber ploughed into a convoy carrying employees of a British company in northern Iraq, killing four, Iraqi security officials said. The suicide bomber targeted the last vehicle of the convoy in restive Mosul and the force of the blast threw the armoured vehicle 40 metres into a ravine, killing everyone inside, police said. "I saw the other members of the convoy bring out four dead foreign civilians from the smashed car," an Iraqi military officer, asking not to be named, said by telephone from the site of the attack in northern Mosul. #2: Three policemen were killed and one injured when an explosive device went off targeting their patrol in western Mosul. #3: Four members of the Kurdish Peshmerga security forces were injured in a blast targeting their patrol, which was heading for a raid and search operation, the source added. #4: In northern Mosul, five civilians were injured in a car bomb attack. The suicide bomber was driving the car near a foreign real estate company in al-Islah al-Zeraei neighbourhood. #5: Gunmen equipped with silenced weapons shot dead a former Nineveh Provincial Council member as he left his village mosque on Sunday in Qahira, near Mosul, 390 km (240 miles) north of Baghdad, police said. #1: One civilian was killed on Monday and three people wounded when a sticky bomb went off near a bridge in Falluja city. “A Sahwa fighter is among the injuries,” a local security source told Aswat al-Iraq news agency. He noted that the blast occurred near the al-Falluja al-Jadeed Bridge. The source did not mention further details, but noted that the attack caused damage to two civilian vehicles. #1: A roadside bombing has killed six Afghan policemen in the country's south. Chief of Khakrez district in Kandahar province Abdul Qayum Khan said four others were injured in Monday's blast. He said the policemen were on their way to Kandahar city when the bombing occurred. #2: At least 20 Taliban fighters were killed today when Pakistani jets struck militant hideouts in the restive Orakzai tribal region bordering Afghanistan, officials said. The air strikes targeted rebel positions in Gandi, Taal, Dalaai, Zawando Kalay and Tanga Dar areas of Orakzai Agency. Officials said 15 militants were injured and four hideouts destroyed in the air strikes. #3: Four German soldiers with ISAF were wounded when their military vehicle was hit by a homemade bomb during a security patrol in northern Kunduz province on Monday, a German press officer in the province said. #4: Afghan and international forces killed and wounded several insurgents during operations in the southwestern Nimroz province on Sunday, NATO said. A suicide bomber attacked Sahwa members as they lined up to be paid outside an Iraqi military base, killing 39 and injuring 41, in Radwaniya in the Baghdad suburbs. All of the dead are reported to be Sahwa, but 2 soldiers are among the injured according to an Interior Ministry source, who also gives the death toll as 43. AP's account differs somewhat, saying 6 Iraqi soldiers are among the dead. Another Sahwa fighter is killed by an IED in Abu Ghraib. The Iraqi army raids the headquarters of the Iraqi Central Federation for Soccer, leaves without finding wanted men. No, I don't know exactly what this is all about, but disputes between the government and the football federation go back a couple of years. At one point the government disbanded the federation, but was ordered by FIFA to restore it. The federation operates the national team. Four Sahwa killed, 7 injured by a suicide bomber inside a house. Again, the AP account is slightly different, saying the attacker first opened fire on the house, then blew himself up as the Sahwa gathered around him. AP also gives the death toll of Sahwa as 3. Four Katyusha rockets strike 2 different neighborhoods, injuring 2 people and damaging numerous houses. Shwan Mohammed reports on smuggling of petroleum products from Kurdistan into Iran. This is not a new story but it adds a bit of local color. The fatwa notes that the practice is not prescribed in Islam, but predates it. The fatwa does not absolutely prohibit "female circumcision." It says parents may choose to "circumcise" their daughters but that it is better to avoid the practice because of the negative health consequences. FGM has been internationally recognized as a violation of children's and women's rights, including their rights to life, health, and bodily integrity. "This fatwa on female genital mutilation is an important effort by the Kurdish religious community to dissociate this practice from Islam, but it is not enough," said Nadya Khalife, Middle East women's rights researcher at Human Rights Watch. "FGM is a degrading and damaging practice, and letting parents choose this procedure for their daughters is simply unacceptable." 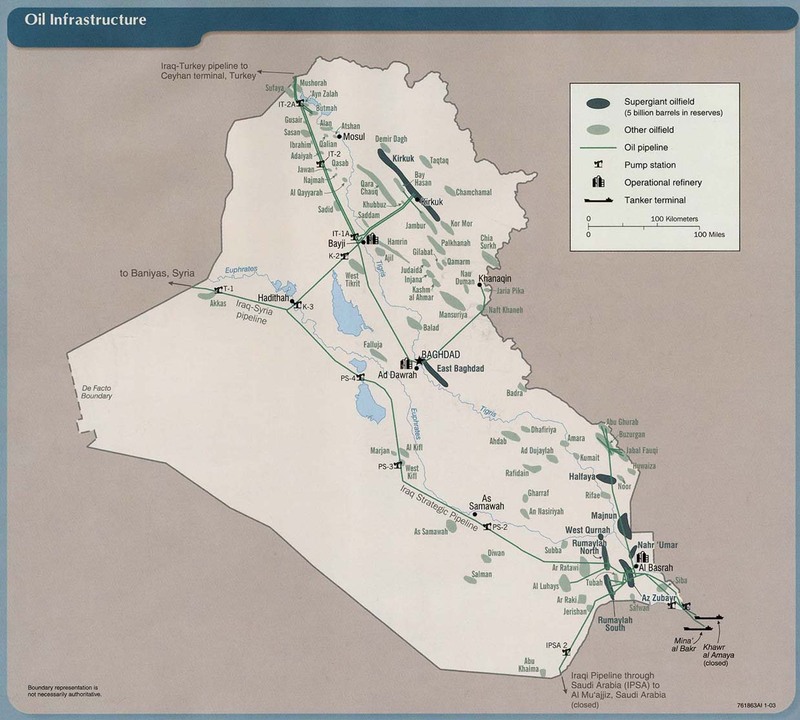 Iraqi government presses international oil companies to speed development of 11 oil fields for which they have concessions. Kabul is to host a major gathering of its international partners -- including US Secretary of State Hillary Clinton and about 40 foreign ministers -- on Tuesday, when the government will lay out is plan for the future. Security forces have thrown a ring of steel around the city to head off any Taliban attacks, with police stationed every few metres (yards) along key streets and thousands of extra police officers on duty, authorities said. Up to 70 international representatives are due to attend the conference, to be co-chaired by President Hamid Karzai and UN Secretary General Ban Ki-moon. It has been presented as a bid by the Afghan government to start a process of transition from dependence on Western backers to running the country alone. A U.S. combatant is killed by a roadside bomb southern Afghanistan. No further details at this time. the prison break was a sophisticated and highly coordinated operation that started at 11 Saturday night when a suicide bomber attacked a police patrol. He was killed by the police before he detonated himself but created confusion and a number of police rushed to site of the attack. An hour later the Taliban attacked four security checkpoints in two districts around the capital, said Gen. Faqir Askar, the provincial police chief. Then at 3 a.m., the Taliban attacked the prison gate, blowing it up while Taliban prisoners used explosives that had been smuggled in to the prison to blow the locks off the gates of their cells. One policeman was killed and four inmates were injured, said General Askar. He blamed the Taliban for smuggling in the explosives, but provincial council members and elders said the police had done a poor job and corruption had played a major role in the ability of the Taliban to smuggle explosives into the prison. In addition the prison is extremely overcrowded and hard to manage with almost four times as many inmates as the prison was built for. Hillary Clinton is in Pakistan, the start of an Asian tour aimed in part at "refining the goals" of the war in Afghanistan. (Not specified exactly what that means.) She will announce a half-billion package of development assistance to Pakistan, and work to overcome anti-American sentiment in that country. She will then attend the Kabul conference, and go on to South Korea and Vietnam. All this argues for reorienting U.S. Afghan policy toward decentralization—providing greater support for local leaders and establishing a new approach to the Taliban. The war the United States is now fighting in Afghanistan is not succeeding and is not worth waging in this way. The time has come to scale back U.S. objectives and sharply reduce U.S. involvement on the ground. Afghanistan is claiming too many American lives, requiring too much attention, and absorbing too many resources. The sooner we accept that Afghanistan is less a problem to be fixed than a situation to be managed, the better. A man claiming to be the Afghan soldier who killed 3 British soldiers on Tuesday has contacted the BBC. "he man, introduced as 21-year-old Talib Hussain, said he had been angry at the conduct of British troops in Helmand province, accusing them of killing civilians, including children. He said the shooting of British soldiers had been his own idea, and before that he had no contact with the Taliban, Iran or Pakistan. He added during the ten-minute interview that he had joined the Taliban only after the shooting." Media Update: Quqnoos.com will be moving to www.TOLOnews.com -- update your bookmarks. The insurgents were holed up in a small building the size of a shack, with thick, mud brick walls, where farmers normally dry grapes. When they tried to escape, and commanders had no doubt the men were combatants, their war was over. The grinding noise of a chopper’s motorized machine gun, capable of mincing a target with at least 2,000 bullets a minute, echoed across the desert plain. It sounded like a wood chipper dicing up tree limbs. “Oh ya, baby!” one soldier shouted up at the sky as the airborne gatling gun spewed repeated bursts. Whoops and cheers rippled across the dust-blown camp.